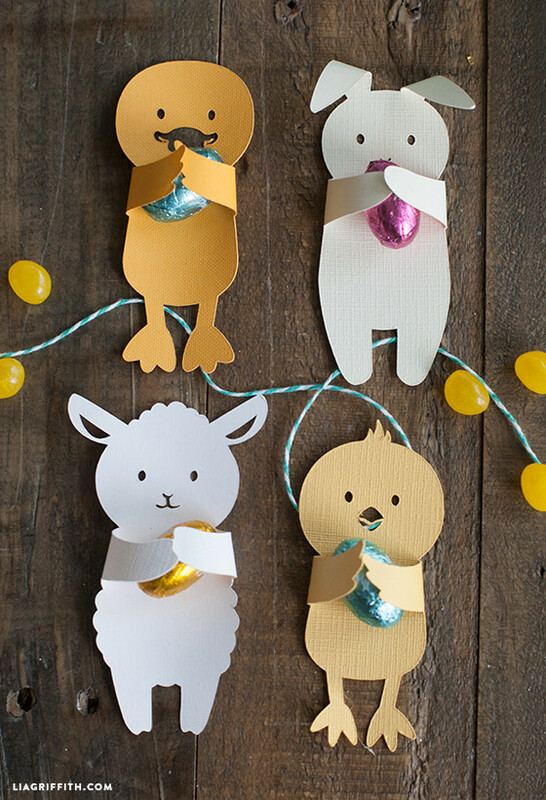 The candy huggers that we made for Valentine’s Day were so popular that we have adapted our design to bring you these adorable baby animal candy huggers in time for Easter. We get really excited at Lia Griffith HQ about Springtime and all that happens at this time of year. It’s a time when we all awaken from our winter slumber and embrace all that is new. I always feel more ready to embrace the New Year during the Spring months, when the flowers are growing, the animals are having their babies and that sense of “renewal” is everywhere around. Hi Lia, I clicked the SVG portion of the Easter Hugger file. When I tried to upload the file, I got the message on the cricut that the file was unsupported. As with everything you do… this project is just so lovely! There is something old fashioned about them, yet still entirely modern. I love it! Love love this! I can’t seem to save this to upload to the cricut explore. Is there any other way have it cut to the cricut explore? hello i was wondering if i can use your tample to cut with cricut explore and how do i do that since the uploder does not accept pdf file? You can use the SVG file included in the post. Have fun! These little critters are so adorable. I’m thinking of making a really cute banner with them, sans candy. Will put some fabric flags between them to dress up banner little more or whatever I can come up with, maybe even some bunnies, who knows when I get creating. Thanks so very much Lia, so sweet and what great images to work with. I like to find other ways to make good use of such wonderful little critters. These are Spring and sweetness itself. Think they’ll be made with some nice watercolor paper to give them more stability for durability. Keep them for year after year Spring/Easter decorating. What would we do without your creativity and sharing your talents so very generously? Happy week, Spring and Easter. Now I’d better get busy ordering some ink so I can print these cuties out a.s.a.p. Hi Lia, I’m an Italian craft blogger and I would like to congratulate for your blog, project and ideas. You are an amazing inspiration! 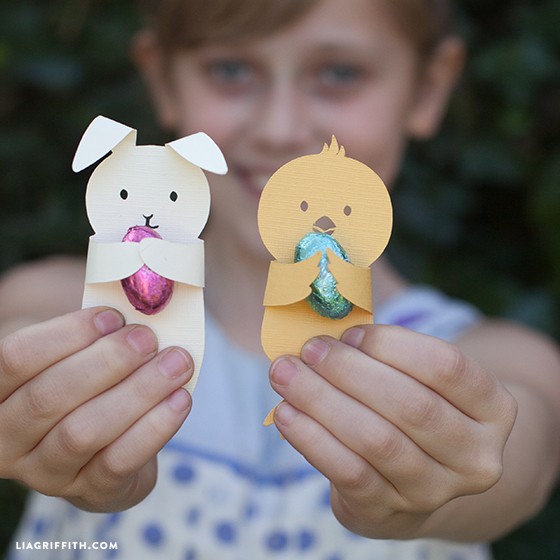 Your Easter candy huggers have been featured (on my blog) today. Thanks again for sharing these adorable candy huggers…I printed the Valentine and St. Patrick’s huggers and the grandkids lovoed them…now for Easter….You are so nice to share your wonderful talents….Thanks again a bunch..
That is sweet, thank you! These are SO cute! Thank you for sharing your wonderful talent. So…so beautiful! You are the BEST! 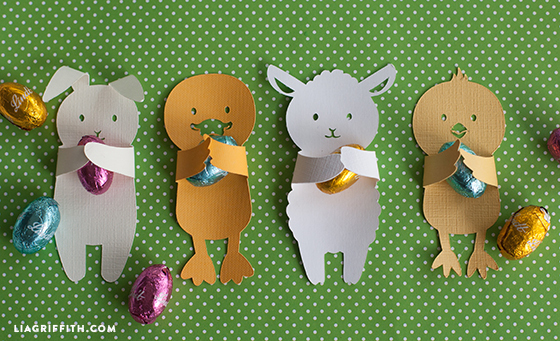 Thank you for sharing these adorable Easter huggers. I think these are the cutest huggers yet.